How did a speaker that was notoriously bad at its job come to adorn recording studios across the world? 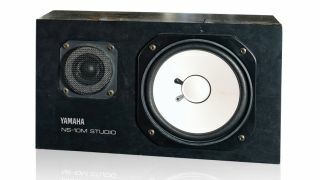 With their characteristic white-on-black look, Yamaha’s NS-10M speakers might well be the most recognisable monitors in studio history - and if you’ve never seen them, let alone used them, you can be sure that more than one album in your collection has been mixed through a pair. Yamaha dubbed them ‘bookshelf’ speakers, and the original intention behind the NS-10s was just that, having been designed as high-end consumer audio devices. Just one problem: they didn’t sell very well. Released in 1978, the original ‘NS-10M’ design was a vertical-standing speaker with a clinically accurate time response and a frequency response that was anything but. An aggressive midrange made them difficult to listen to at length, and pigeonholed the devices into the clichéd ‘home stereo rock and pop’ market. And that’s where their story should have ended, were it not for engineer extraordinaire Bob Clearmountain. So the tale goes, Clearmountain declared the NS-10s “the worst speakers he could find”. So why was he seen carrying a pair with him as he went from studio to studio? You see, the NS-10s’ design made them an ideal reference for home hi-fi systems on which most records of the 70s and 80s were actually heard. Their 5dB boost at 2kHz actually often emphasised troublesome issues that other speakers might have masked. As another legend has it, it was producer Greg Ladanyi (Jackson Browne, Warren Zevon, Don Henley) who first brought a pair of NS-10s home to a Los Angeles studio after hearing them in Tokyo. It wasn’t long before they spread to the other production hubs of New York and London, placed on their sides instead of in the upright position, so the drivers would stay level with the engineers’ ears. Clearmountain declared the NS-10s “the worst speakers he could find”. So why was he seen carrying a pair with him as he went from studio to studio? The reputation of the little Yamahas was dramatically enhanced when it became known that they’d been used by Clearmountain and fellow desk-jockey Rhett Davies to mix Roxy Music’s exquisite Avalon LP. Within a few years, there were NS-10s atop meter bridges all over the world. In 1987, Yamaha responded to this newfound popularity by issuing the NS-10M Studio (pictured), with tweaked circuitry, tougher build quality and - maybe most importantly - horizontal legending to match how they’d actually come to be used in the studio. The NS-10s’ sound quality has been the subject of many a strongly-voiced opinion - some engineers swear by the things; others detest them. Even those that love them have been known to tape a bit of tissue over the tweeter to reel in the speaker’s spitting treble; and with its limited bass response (a paltry -3dB at 70Hz), it’s never going to give you full-range insight into a mix. 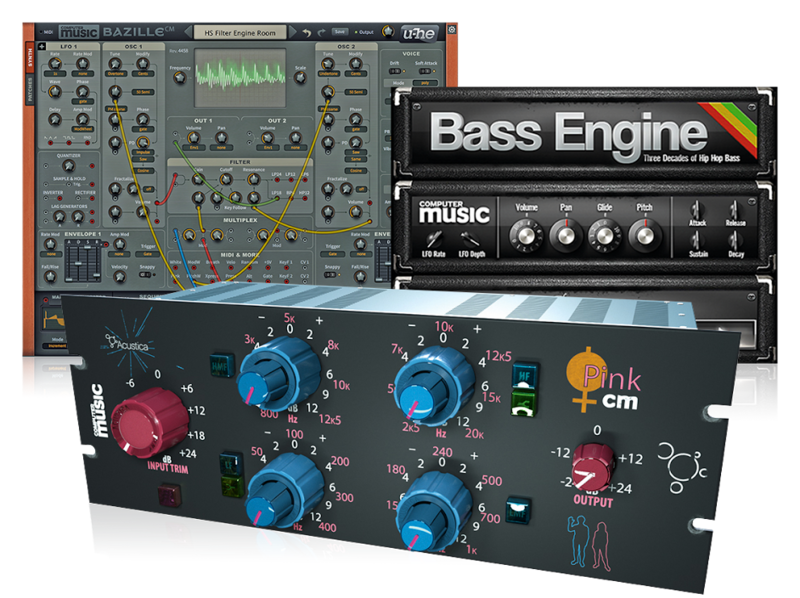 Yet no one can deny that a mix done well on NS-10s is bound to translate very well to other systems. There’s something decidedly ‘real-world’ (some might say ‘lowest common denominator') about these speakers. Yamaha was forced to discontinue the model in 2001, citing the unavailability of the pulp used to make the bass/midrange drivers. However, with nearly a quarter of a million of them sold, they’re hardly scarce, should you decide to mix like your heroes - just be sure to find a suitable amp, as the NS-10s are notoriously fickle. DeeMonitor CM - free with CM Plugins - is designed to provide a number of references against which to check your mix. Along with L/R solo and inversion, mid/side balance and the like, it emulates the frequency response of a pair of NS-10 speakers through its ‘Type-N’ setting. There are also Genelec and Auratone 5C emulations. Toneboosters’ “Binaural Environment Simulator” was designed offer headphone users a simulated room sound, and monitor emulation to match. Though the NS-10s aren’t specifically singled out as an option, you’ll find settings like Small Monitors and Nearfield among this plugin's many parameters. Simply select the type of monitors - or headphones - you’re using, then dial in the sound you want to approximate. MixChecker adapts its output frequency response to help you get an idea of how your mix will sound in various contexts. Just like the other two, though, it can’t change the time response of the kit you’re monitoring through.